Follow LifeInBaja on Twitter to get a peek into what life is like in this beautiful area and be kept up to date on events and opportunities in the area. A home on the ocean front... It's a dream for many people. The current legal, financial and cultural environment of mexico have made this dream closer to reality for more people than ever today. I personally fell in love with this peninsuladecades ago. Many journeys down the coast and more frequent visits to the Northern Baja area inspired me to acquire a dream home of my over nearly 10 years ago. I've been investing and working in the area ever since. If you subscribe to my NEWSLETTER I will send you information on current events, an insiders view of the news (instead of the outsiders view in the US press) and the best deals I find on the coast. 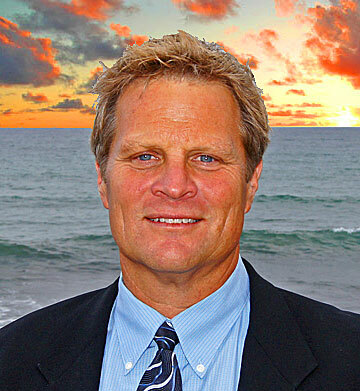 As a member of Baja's Number One Brokerage Team, The Baja Real Estate Group, we can bring to bear the most experienced and knowledgeable team to work for you. Our collective capabilities, advance marketing and local knowledge bring you the best team on the coast. If a oceanfront investment or a retirement home is in your future give us a call and we will be committed to work with you to reach your goals for Baja Real Estate. The most important decision you make when searching for real estate in Mexico is the selection of a professional to represent your interests. See why in my article on buyers representation. Your Baja Dream awaits. Price and choice have never been better! Click here for our picks for the best oceanfront bargains from all the listings in the area. We make selections from all of the currently available properties from all agents in the area. We do a first level of due diligence to be sure that the property has good title and a secure profile. Bookmark this page to check on the top opportunities of the week. 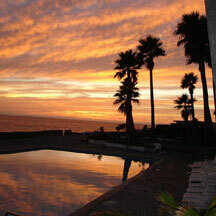 Club Marena is Northern Baja's original luxury residential resort. It's been the premier oceanfront development on the coast since 1989. It is the only development on the coast that can boast the history of success delivery, security and luxury lifestyle that it affords.